Last week, my Grandma, Lucas and I went to Chadwicks in Standish for some dinner. Since 1761, the Chadwick family have lived and worked within 200 yards of the present High Street site. Throughout these years, they have served the community as both farmers and butchers. 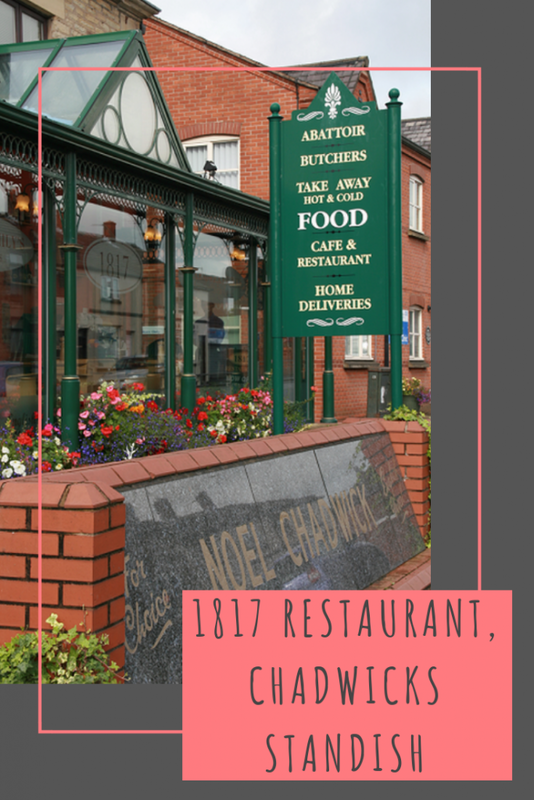 In August 2000, they rebranded as Chadwick Family’s Emporium of Fine Foods and in a new building they became a butchers with a delicatessen that’s sells a wide range of local cheeses, salads, pies, breads, and cakes. They also run the 1817 restaurant which we went to visit. 1817 is a fully licensed cafe bar and restaurant. It features comfortable seating and a solid stone floor. We were seated in a snug like lounge but there is also seating in a more conservatory setting. I would say, if you have a preference, make sure you book ahead. When we went, we were lucky to get the last table in the restaurant and a few had reserved signs on. There is a lovely bustly atmosphere throughout the restaurant with a mixture of people meeting for business lunches and friends and families dining together. The staff are friendly and accommodating, having everything meticulously organised. The menu is very impressive with plenty to choose from as well as daily specials. 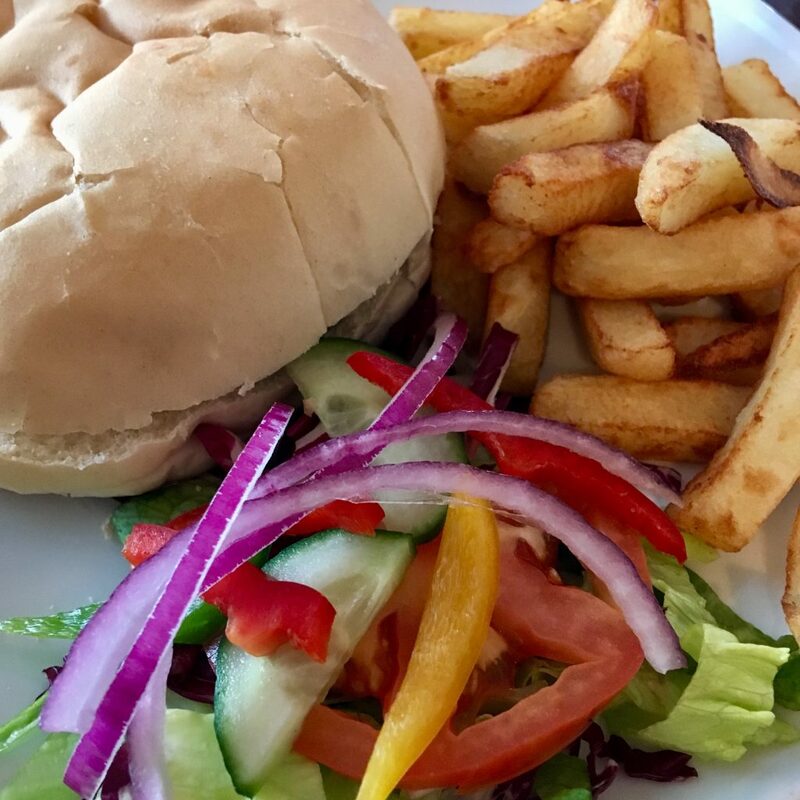 I was particularly impressed with the children’s menu which had everything from the usual chicken goujons to sandwiches, pasta dishes, sandwiches, fish, jacket potatoes, burgers and rump steak. 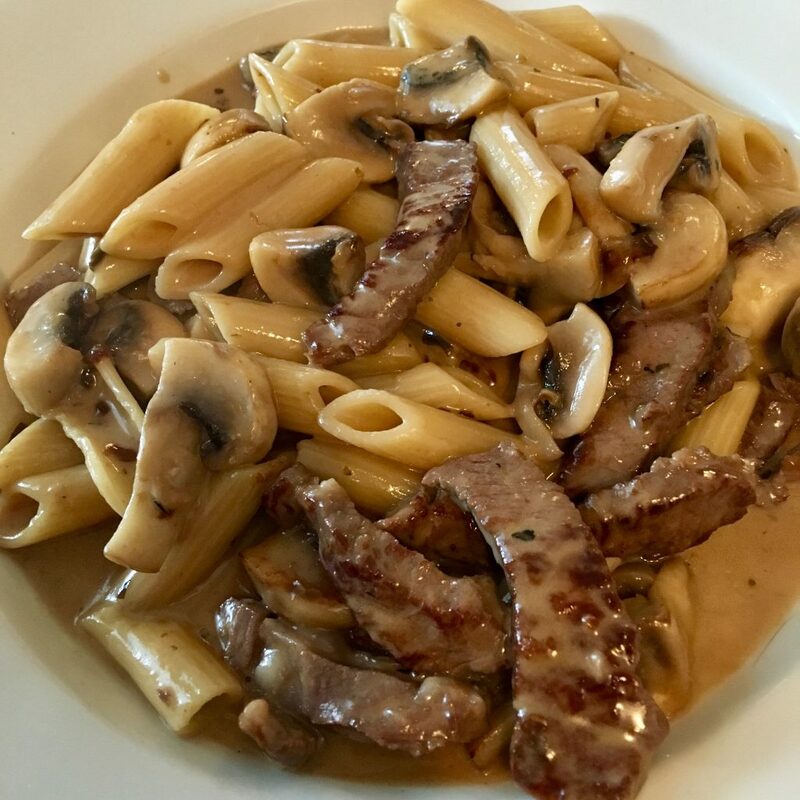 I chose steak and mushroom pasta which was flambéed in brandy and finished with cream and garlic. I didn’t really know what to expect but I loved it, the steak was perfectly cooked and the sauce complemented it well. 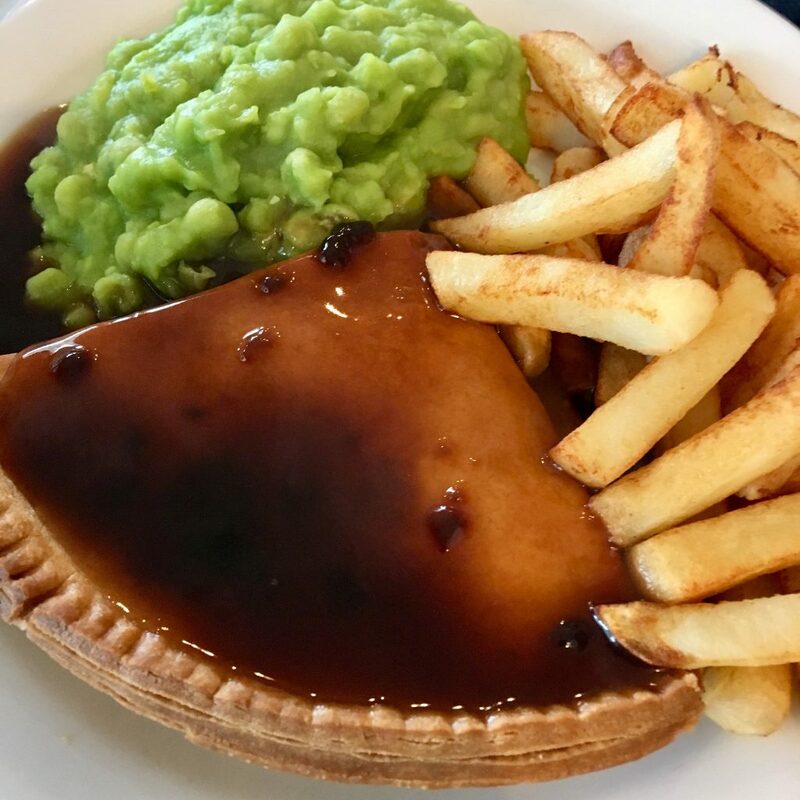 My Grandma chose the steak pie and had chips, mushy peas and gravy with it. The portion was very generous and she loved it. I couldn’t help but try some chips and they were very morish. Lucas had the cheeseburger which came with chips and salad. Again, this was a very good portion for a children’s meal. He really enjoyed it and it was nice him choosing something other than chicken nuggets for a change. Those meals look absolutely delicious ! I love places that have a lot of history behind them, the atmosphere is always so much better when it’s a family run business I think.